The best EM medical fliegerblusen I have seen on line! Thank you for sharing it with us. Me too, that Fliegerbluse is a beauty Steve ! Thanks guys for the comments. Bob, I love your LW EM medic hat!! I still need to find one. A very nice and rarely seen example of a LW senior medical NCO strap!! 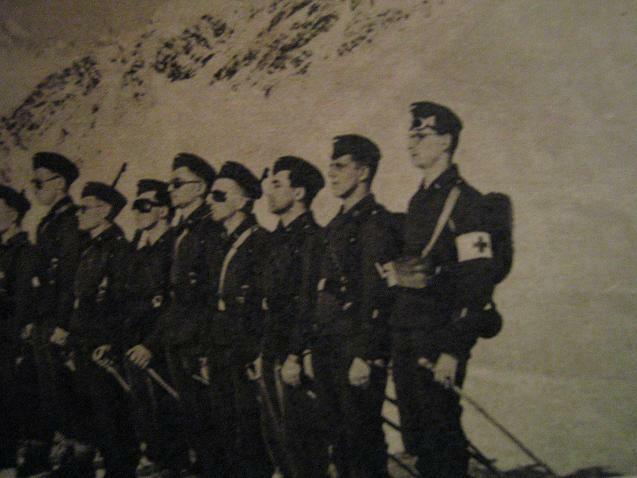 The Medical Branch of the Luftwaffe was one of the original career fields present when the Luftwaffe came out into the open on March 01, 1935. 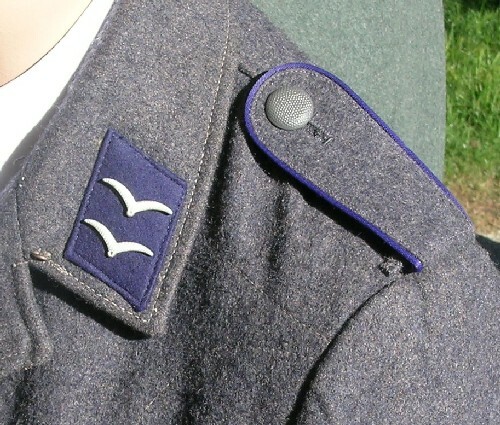 The standard waffenfarbe for the Luftwaffe Medical branch was cornflower blue. 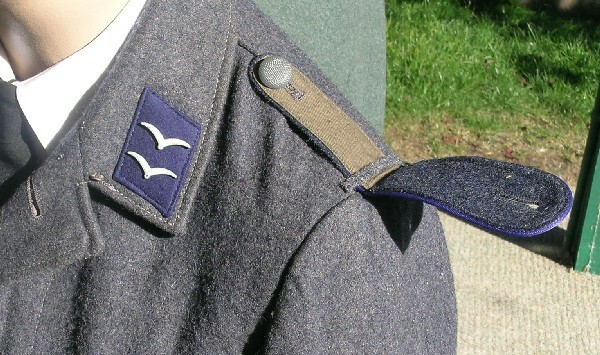 When attached to the Hermann Goering Division and the Luftwaffe Field Division, the solid blue collar tabs and shoulder boards were to be retained, by order(although as most rules, this one seemed to have been broken from time to time). These men and officers filled roles ranging from direct patient care in the field to research and development of medications and procedures to drafting health awareness cartoons. Dentists were also included in the medical corps. 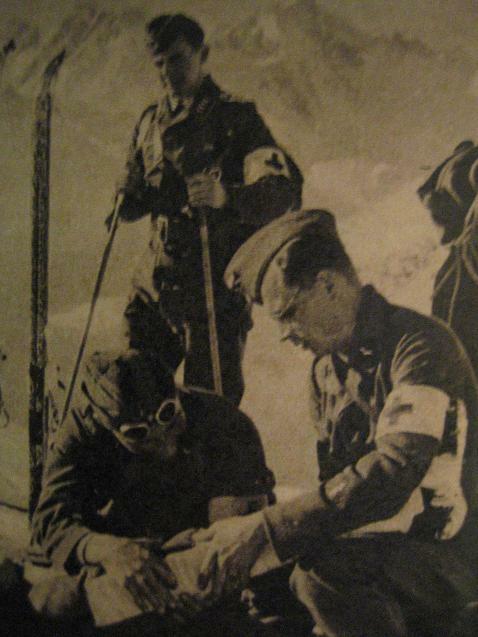 The Luftwaffe used trained Officials for medical ancillary services. 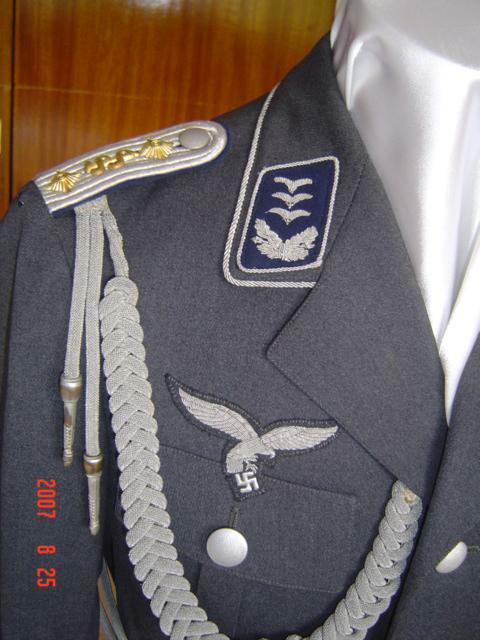 The specialties can be recognized by the nebenfarbe on the shoulder boards. 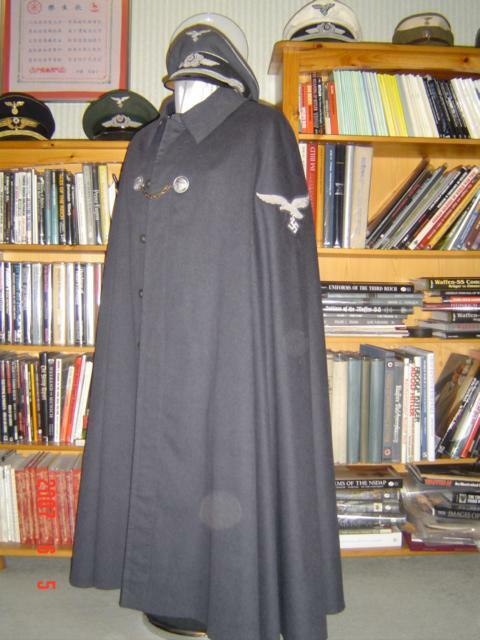 Orange- School Special Service, Librarian Service, Pharmacist(post 1940), Psychologist Service, Veterinary Service, Luftwaffe War Science Section. You did a very good job on this tread. Thanks for the compliment! It sincerely means a lot. But I merely started the thread. It was carried by the interest and additions of our members. I thank all for that! You are way to humble! Good job on the thread. You started the tread,ok.But you did always a very good job on different treads. 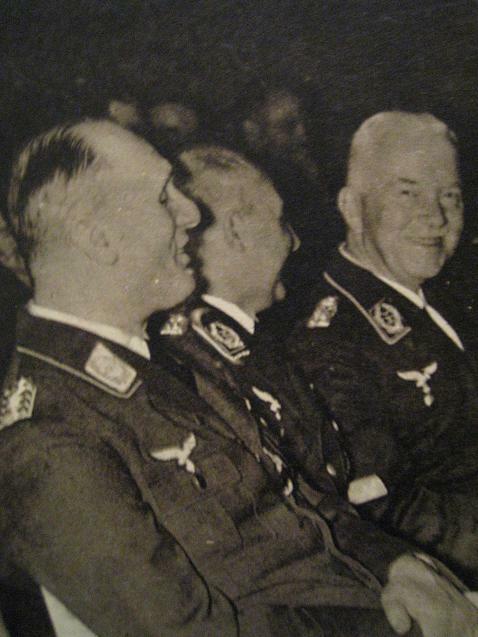 I found this photo in a "Der Adler" magazine. It shows from the left, Sanit?tsinspekteurs der Luftwaffe Generalarzt Dr. Neum?ller, and Oberst?rzten Dr. S?nbrich and Dr. Martius. The photo was taken at a consert. 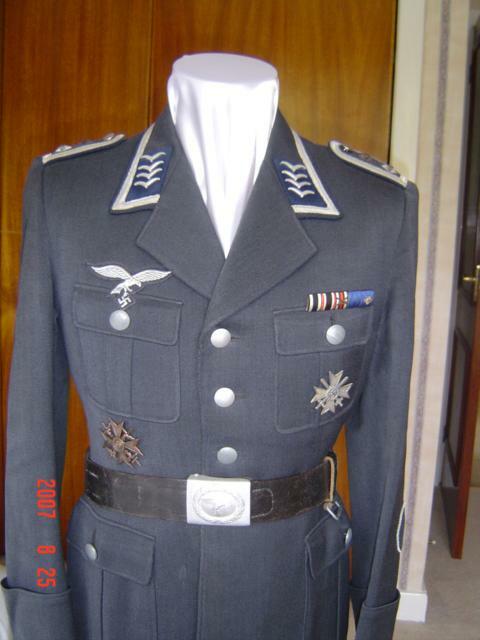 Is there any special insignia, or waffenfarbe, that would show that the general belonged to the medical branch? That is one great photo. Thank you for sharing. 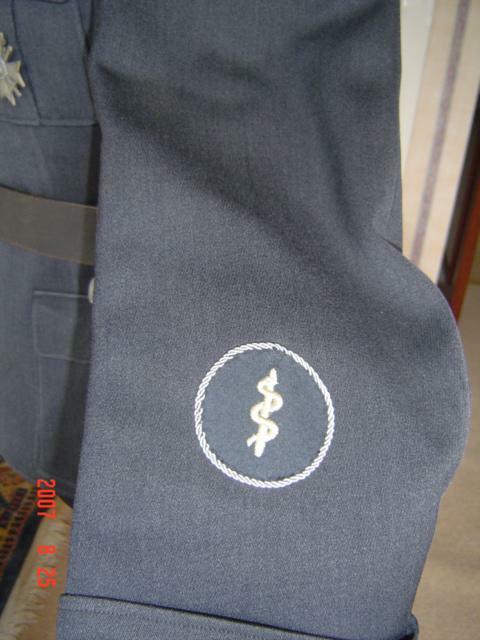 The only way to Identify a medical General would be the medical insignia cypher on the shoulder boards. Two more photos, from "Der Adler". I tried to make close ups of the most interesting bits of the pictures. Both photos shows the sanit?ter armband in use. I hope they are of interest. 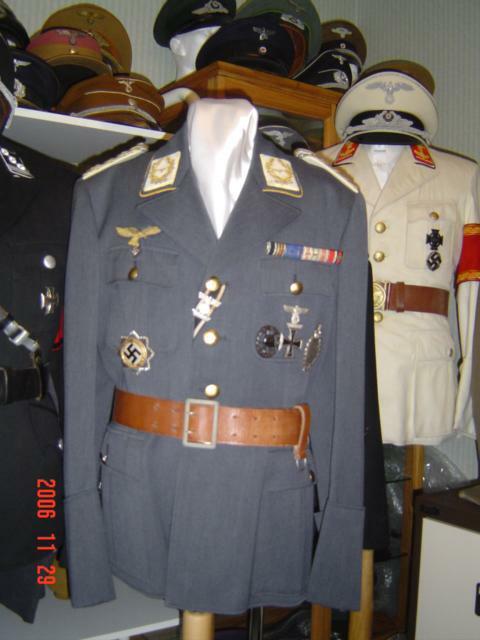 Some really nice tunics and visor caps, guys! 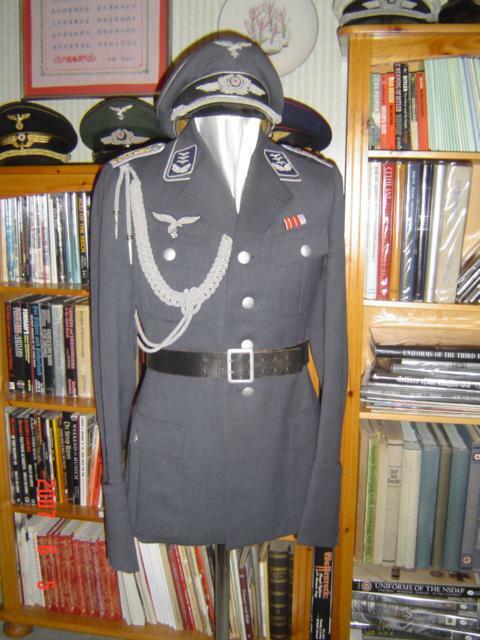 I have a few Luft tunics, but only two from the medical branch. An NCO who, it seems, has served in Spain (unlikely it woukd be a DKG award). 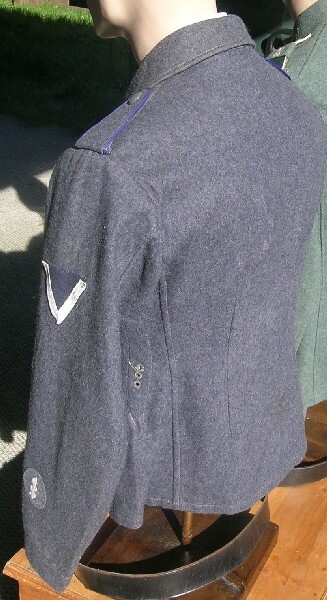 It has a nice arm patch, surrounded in wire..senior medical NCO? Plus an Officers...see attached photos. Those are simply amazing! I love the NCO with the Spanish Cross! I would love to see the other items that reside in your collection, in a different thread! Thanks very much...it's nice to see other's collections and I appreciate all those who share their 'treasures'. Some Luft things attached...and I'll post others on the appropriate forums, provided you guys do the same! !